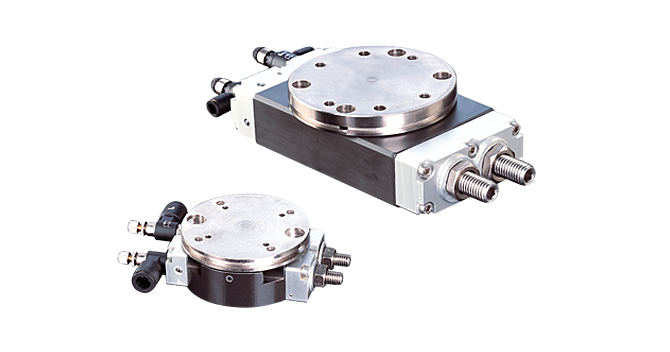 Pneumatic Rotary Actuator | Low Profile | RF | PHD, Inc.
Series RF Low Profile Pneumatic Rotary Actuators feature adjustable angle of rotation between 0-180° providing superb flexibility and control. Internal urethane shock pads provide quiet operation and end of rotation deceleration with precise repeatability. Series RF Rotary Actuators are designed for a variety of applications that require high torque in a small, low profile package. Compact size, low profile, one piece hub and piston assembly, fully adjustable stops.